It would be trite to say that Smokey Robinson really came into his own as a songwriter in 1962; after all, he’d written plenty of excellent songs before then, including a few bona fide greats (such as Way Over There and Everybody’s Gotta Pay Some Dues, both of which would surely merit a place in any Smokey best-of). However, it was in 1962 that he moved from being a young Detroit writer with an ever-thickening sheaf of fine songs under his belt, to being one of the best songwriters in America. 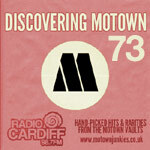 Having been assigned to a writer-producer gig with Mary Wells by the Motown top brass, Smokey’s immediate, innate understanding of rhythm and melody found a new outlet; given the producer’s role for the first time, required to work closely with the Funk Brothers as well as Miracles guitarist Marv Tarplin, the ideas started coming thick and fast, initially finding expression in calypso-tinged balladry. The resultant flood of new ideas not only resulted in hits for Wells (The One Who Really Loves You was already on its way up the charts) but also for Smokey’s own group, the Miracles, who landed a sixth straight R&B Top 20 placing with this gorgeous song, the first truly great Miracles ballad. The influence of Smokey’s writing and production work with Mary Wells is immediately apparent right from the off, with brushed drums (rather than bongos) striking up a similar pseudo-calypso rhumba tempo – but this is altogether more amibitious than any of the songs Robinson would cut on Wells in 1962, in large part thanks to Riley C. Hampton’s orchestral arrangement, illustrated straight away when one of the first sounds presented to the listener is a full-size harp (the first prominent appearance of that instrument on a Motown record), followed by a lush, layered bank of strings and musical flourishes. It’s quite lovely. It’s not to simply say that this is one of Smokey’s best songs (though it manifestly is that); it’s that it shows Smokey as one of the very best. While I hate it when people dispassionately dissect a great pop record – like sticking a pin in a beautiful butterfly just to look at it on display on a board, missing out on seeing it do what it was meant to do in the first place – I do think it’s important to go a little bit deeper, to really get to grips with what’s happening here. There’s a great bit in Nelson George’s Where Did Our Love Go? where Smokey talks about his development as a songwriter; dismissing the famous notebook containing “over a hundred songs” he’d written in his mid-teens before ever meeting Berry Gordy (most of which were discarded – “I had songs that went all over the place… I thought if you rhymed something, that was a song”), he couches that development in terms of lyrics, not melody. Melodies, he could do. Just like Paul McCartney over in England, his natural gifts for finding the right tempo and tune were already there, even if (again like McCartney) his ideas and arrangements would grow bolder and more complex as he developed as a songwriter; the bedrock, the innate “feel” for a good tune, was there from the start. It was in the realm of the lyrics where things didn’t just naturally come together as he extemporized, where he needed to actually knuckle down and work. So Smokey Robinson knuckled down and worked, and became Motown’s best lyricist. His gifts eventually extended not just to writing excellent words, not just to writing words which were emotionally appropriate for the singer they were intended for, but to actually choosing words that he thought they’d sound good singing, that would suit both their voices and their pronunciation; paying attention to everything that was going to be coming out of someone’s mouth. As for his own records, he was rapidly learning what he could sell and what he couldn’t, and then playing to those strengths. I’ll Try Something New, heartbreaking and magnificent, is a case in point. Play this one side-to-side with the Miracles’ first Motown single, Bad Girl, another dreamy ballad released two and a half years previously, and two things become apparent. Firstly, that (even though this is where I’d normally say something like “The difference is amazing, it sounds like ten years, blah blah blah”) there’s not so much difference between the songs in terms of structure. I’ll Try Something New is smoother, more refined, more delicately fashioned, but the actual skeleton is very similar. Secondly, the two records still sound completely different, and that’s down to the arrangement and – crucially – the words. The story, the match of singer and lyrics, the almost-desperate tension in Smokey’s voice, all these things combine to make this a mini-masterpiece. The “story” features Smokey’s narrator, hopelessly, totally in love (and believably so, thanks to his skill as a lyricist), offering to do a succession of crazy things in the hope of impressing her with his dedication, and then (in the song’s killer hook) offering to go even further – “and if that don’t do, I’ll try something new”. You know he would, too. The first draft of these lyrics was supposedly scrawled on the back of a bag of popcorn by Smokey after inspiration struck halfway through a Detroit Tigers baseball game, but it doesn’t show. Some of the images on display are among the most arresting, the most memorable of any Motown record; Smokey’s proposed feats of romantic achievement range from the specatularly improbable to the warmly ordinary, often in the same couplet (“I will bring you a flower from the floor of the sea, to wear in your hair / I’ll do anything and everything to keep you happy, girl, to show you that I care”), and frankly, if you don’t come out in goosebumps when he sings “Well, on the moon above, I’ll write it’s YOU that I love”, I think there’s something wrong with you. It’s a tour de force; it’s easy to say “I’d do anything for you” (look, I just said it right there), but that carries no weight. Far harder to spell out just what that means, and harder still to spend a whole song doing it, and even harder again to make it completely believable – but that’s Smokey Robinson the songwriter at his best, making the impossible possible. Meanwhile, Smokey Robinson the lead vocalist is on great form, too, his soaring falsetto now developed to the point he was well aware of its limits and range; he swoops around with great ease at the top of his register both for the airy, dreamlike verses and the plaintive “if” in “and if that don’t do” in the chorus. The effect is magical, but it’s made better because of the lyrics he’s singing. The record isn’t quite perfect – it’s let down by a slightly poor production (handled jointly by Smokey and Berry Gordy Jr., the first time Smokey himself was behind the glass for a Miracles session) which muffles some of the finest moments of both Smokey and the orchestra – but it is marvellous, and full of wonder. For the next two years, Smokey would be unquestionably Motown’s number one songwriting talent; for the Miracles, their place in history was already assured. What can I say, I love this record! The instrumentation is first rate and the clever interplay of lyrics and that punctuating downbeat that closes the verses. Let us not forget the intriguing use of implied sexuality with the lyrics “Give you love as warm as mama’s oven”. and let us not forget “Trying to Make it” by Lee and the Leopards which makes one feel that one is on a duck hunt! Quack, Quack! It makes one want to read this blog everyday! Let the good work go on! 🙂 Thanks Mary! I’ve been taking a break to listen to some newly-arrived records, but there’ll be a flood of new entries to come. Good tip on the duck hunt vibe for Trying To Make It – I’ve listened to that record several times in a row and I still can’t fathom what they were thinking! Thank you finally writing the love letter to this record it has deserved for decades. I sure hope Smokey Robinson is reading your blog! This was at least a year old when I first heard it. Motown didn’t capture me until the summer of ’63 (with “Fingertips” and “Heat Wave”), and even then I was still only 9. But it was exactly the kind of song, when you heard it start up on the radio, you rushed closer to the speaker and volume, and didn’t move till it ended. Great as they are, it could be argued that “Shop Around” and “Everybody’s Got To Pay Some Dues” reveal traces of the time and era they are from, but not “I’ll Try Something New.” This dreamy, magical love song will effectively cast its spell on those newly in love for generations to come. Your last sentence sums up everything that’s great about this song. I’m glad I was able to convey something of my love for this record; thank you for your kind words. A couple of people (and their descendants) have been in touch after I’ve written about their records, so you never know… Smokey, if you’re out there, thanks for the memories. Nice song. I also like the 80s remake by Taste of Honey. Smokey himself did a good solo remake which got a lot of Quiet Storm airplay. I think the Supremes/Temps remake sounds like a completely different song. I have to agree with your “10”. This is one of my all-time favourite songs. Great string arrangement by Chicago’s own Riley Hampton (who was a major player in forming “The Chicago Sound”, along with Johnny Pate, Curtis Mayfield, Eugene Record, and Motown’s own, Sonny Sanders). A good song that showed Smokeys talents, but they weren’t gonna hit #5 pop with “dreamy, magical love songs”. i was hooked on “WAY OVER THERE” in ’60. “I’LL TRY SOMETING NEW still mesmerizes. A great song, obviously, and another with that “other-worldly” quality you mentioned earlier, but for me, a 10/10 needs a bridge. When I started listening to this I hit pause to see if I could remember the other hooks and chided myself for not being able to, but … there weren’t any! Like a Dylan song, it’s one long section, repeated thrice, with an instrumental on the same changes. Still great, but I wish the credit had read “Robinson-Simpson” and contained some fabulous middle 8 worthy of the main hook. Valerie doesn’t enter our story for several years yet – I don’t know if she’d even met Nick Ashford by this point. For me it’s endlessly fascinating to read this unfolding chronologically. I know so many of the songs but unlike another commenter, Robb Klein, I wasn’t lucky and clear-headed enough to have experienced it unfolding in real time. I always thought of Motown and The Beatles as concurrent, and many of the famous later tracks are from the later 60s, but it amazes me how long Motown was rolling along while 50s rock was essentially over and the British Invasion hadn’t started. Who would you say were the best of the pre-Beatles competition for Motown (musically as opposed to commercial success)? Stax & Specter? Stax were really just as nascent as Motown at this stage; the top independent labels in Motown’s musical territory as I understand it were probably Chess, Wand/Scepter and Vee-Jay, who ironically ended up issuing some of the first US Beatles records. O’Keh also get a lot of mentions. But like you, I wasn’t there (and wouldn’t be born for almost 20 years), so… Robb?